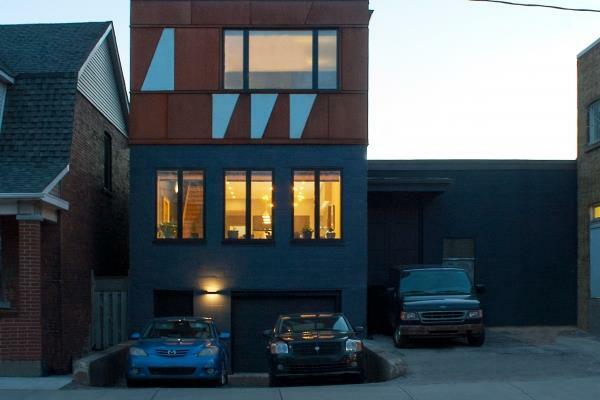 This single-family passive solar house is located in a downtown Toronto laneway, nestled between Chinatown and the Art Gallery of Ontario. 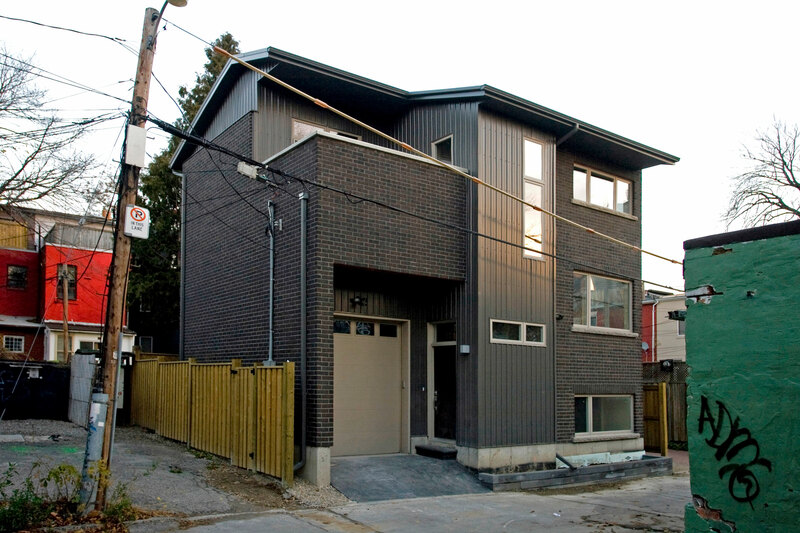 The house was inserted onto a tiny site, previously occupied by a two-car garage. The brand new building is a fully detached, full-sized, two storey home with a large, bright basement. 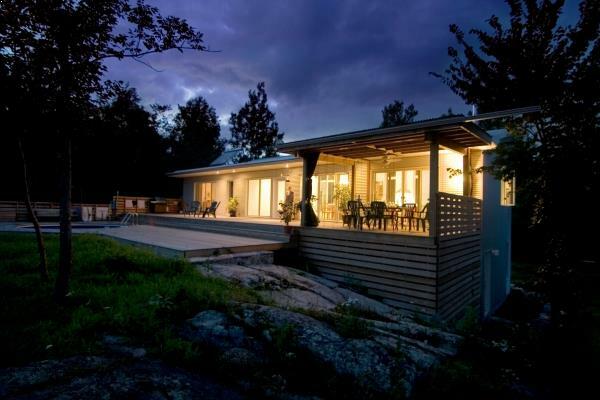 Inside the home, large windows and spacious rooms over three floors create an expansive feeling, overcoming the restrictions of the modest site. 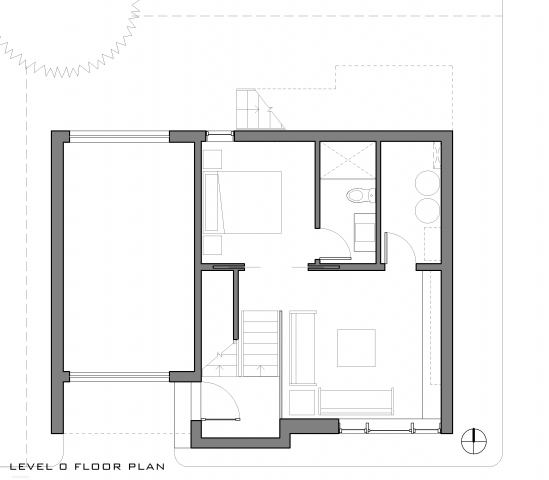 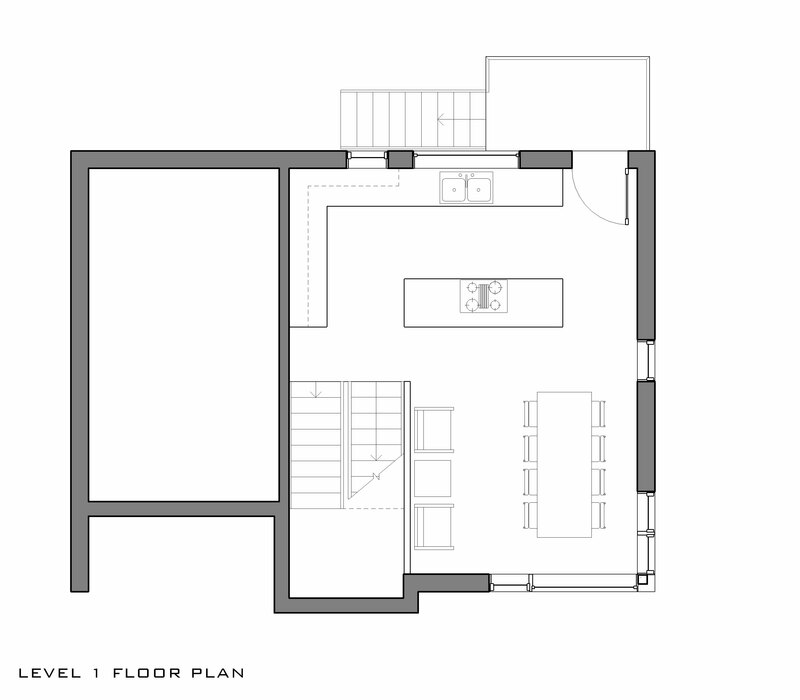 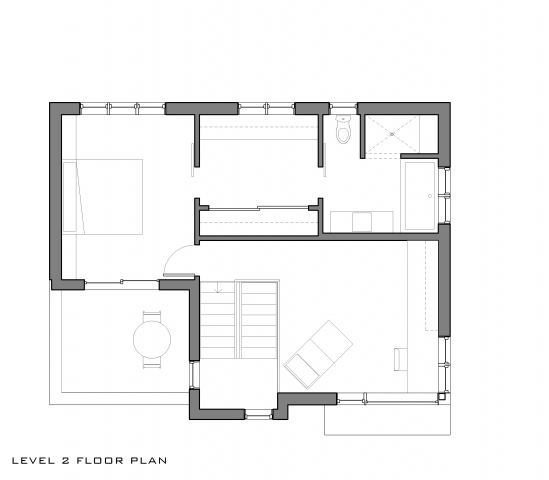 Our client’s daily routine and needs were emphasized in the home’s floorplans, which ensured that the design was unique and conducive to his daily habits and lifestyle. 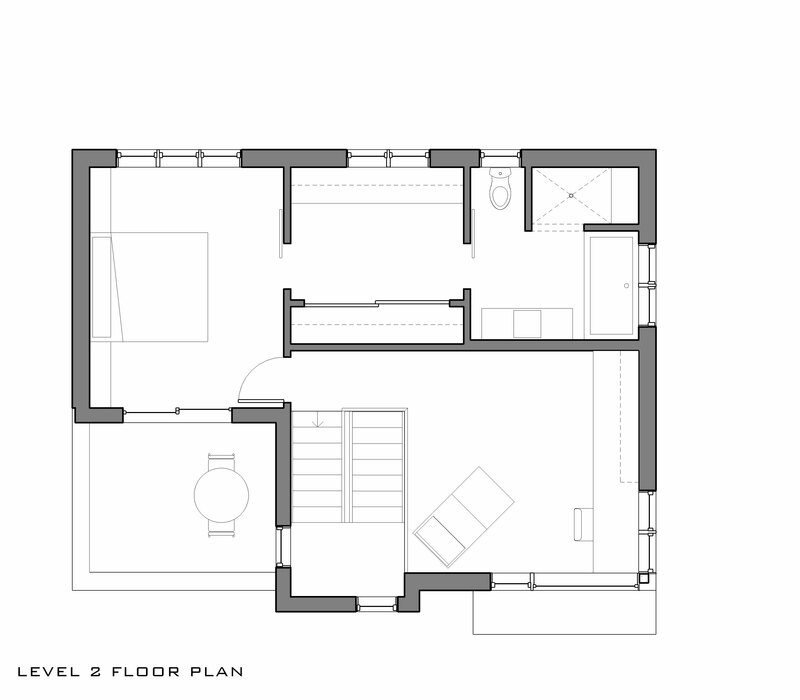 The final design is open-concept, with a dining room and kitchen on the main floor, a large master bedroom and study on the second, and a large guest suite and living room in the basement. 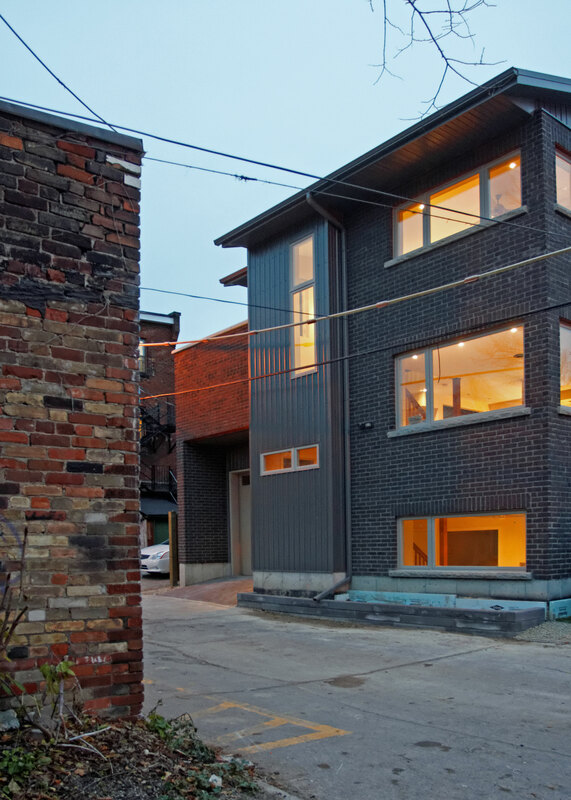 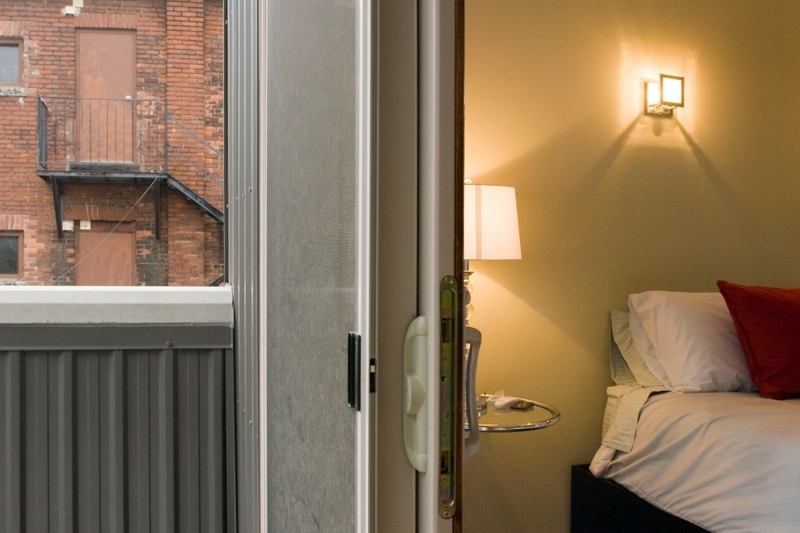 The Laneway Loft illustrates how underused or abandoned properties in the urban core can be transformed into delightful, fully functional development spaces. 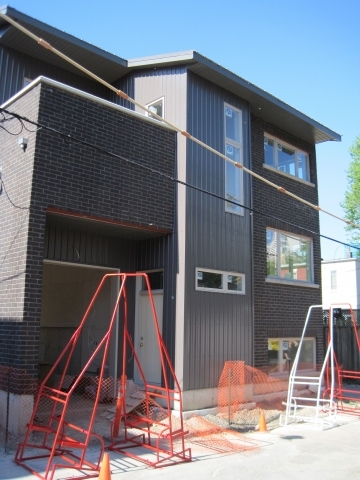 Unfortunately, city bylaws make this type of construction extremely difficult. 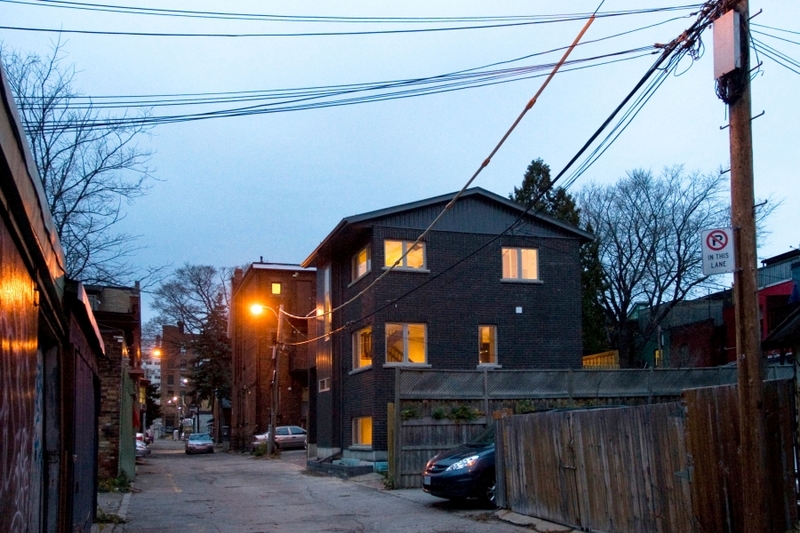 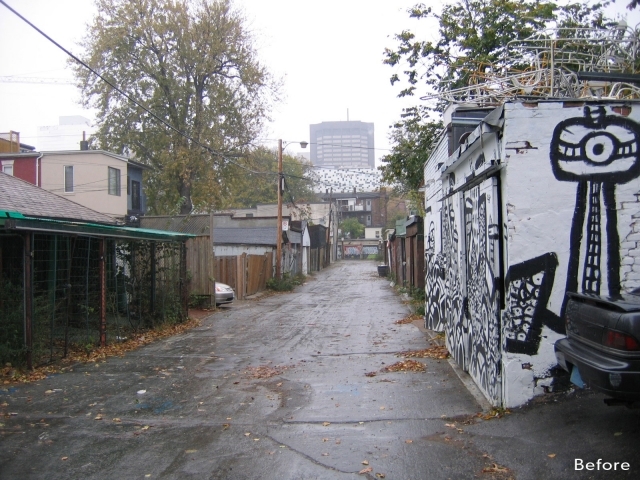 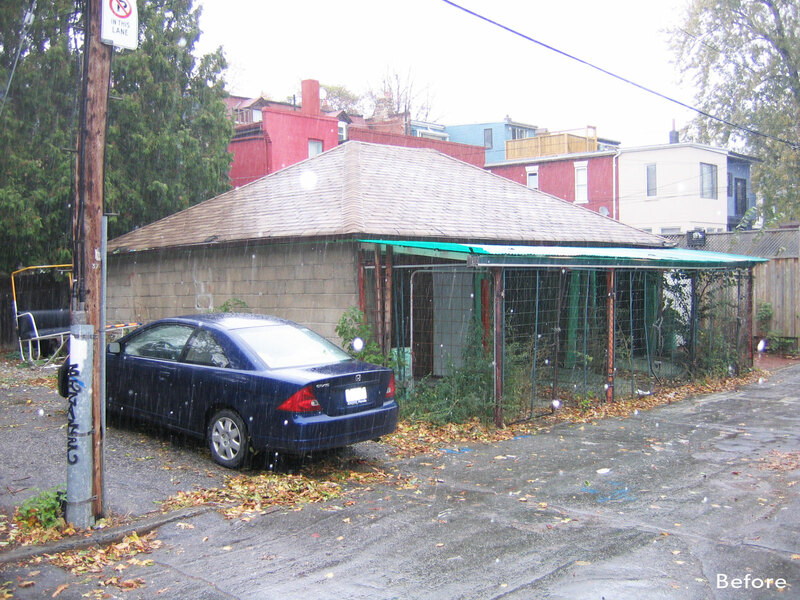 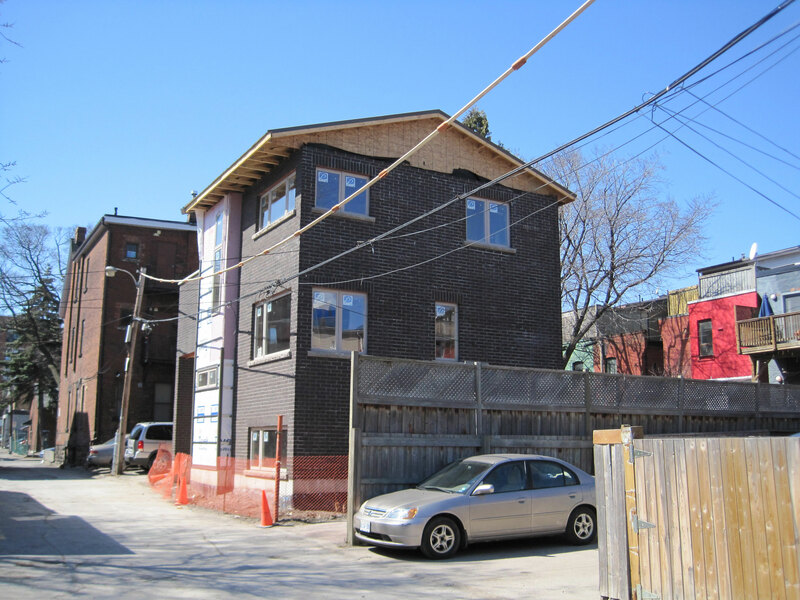 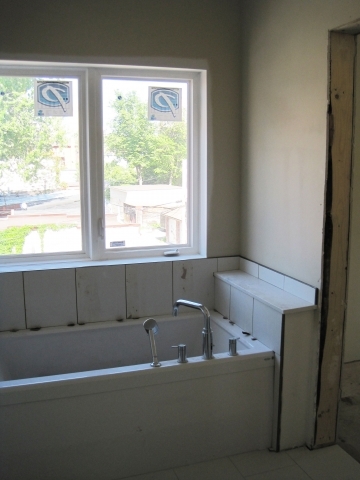 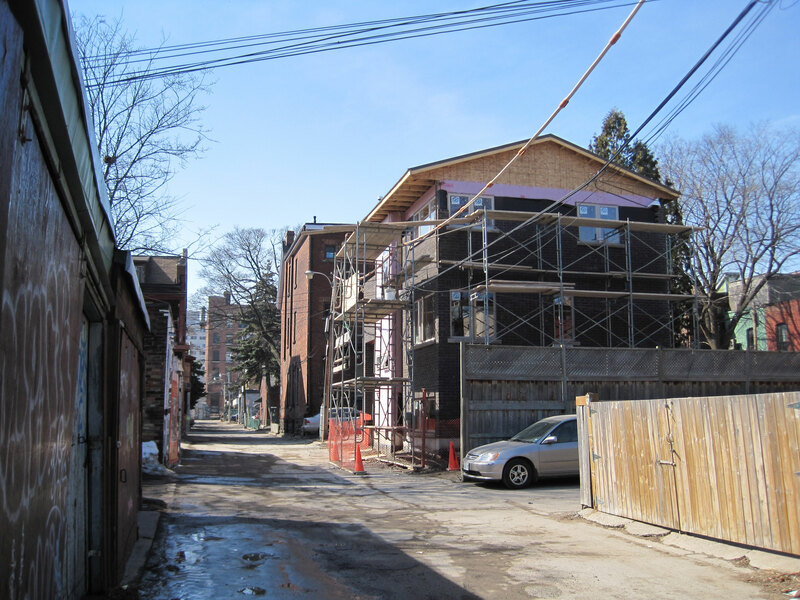 The property’s previous owner had obtained approval from the city of Toronto to build a laneway house on the site, but abandoned the project when he sold the property. 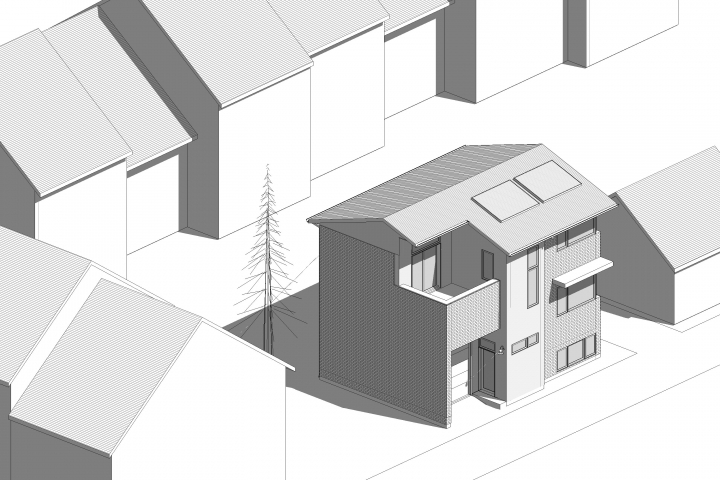 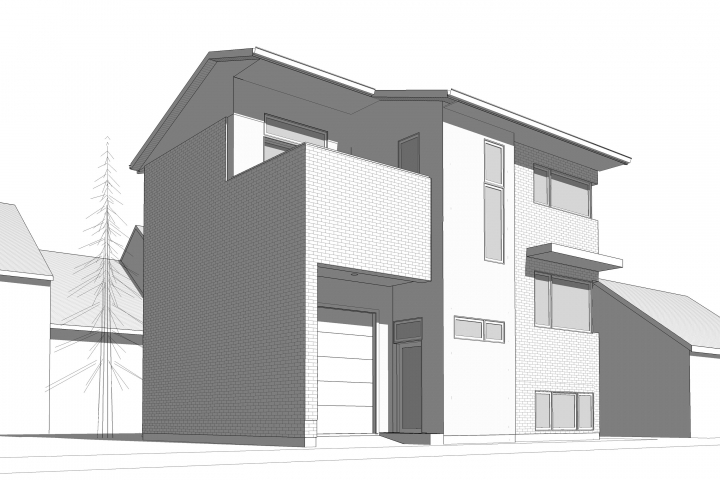 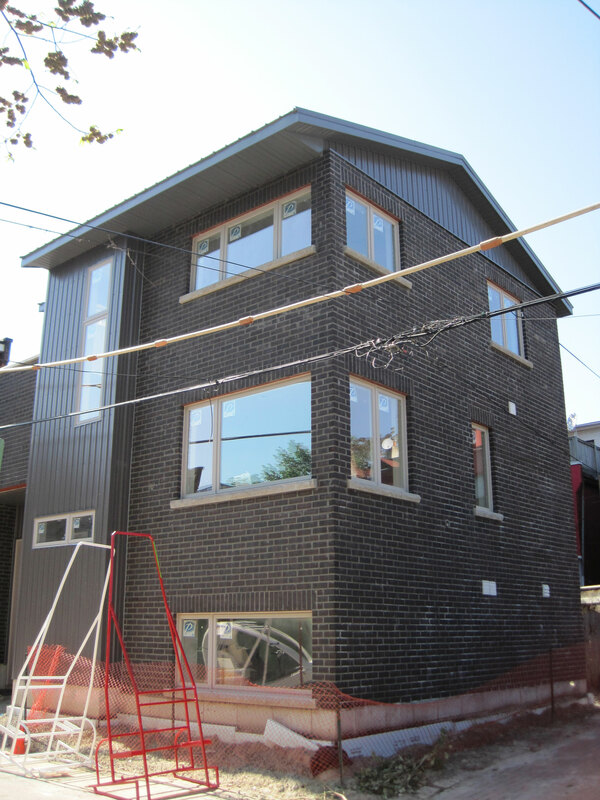 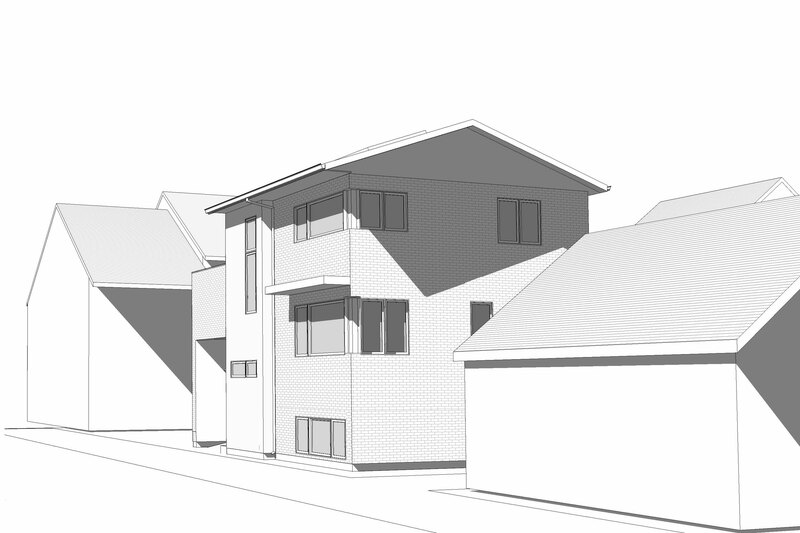 With the building having already been approved, our client went forward with building the only home on the laneway. 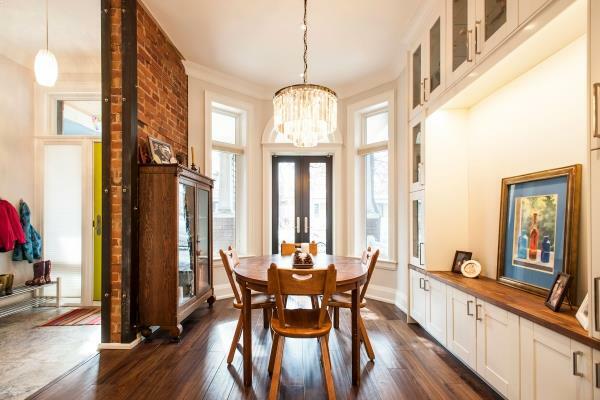 The house stands two storeys high, with an additional bright and spacious basement floor. 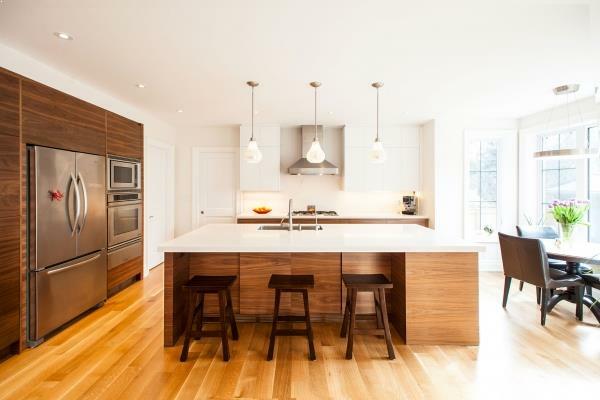 On the main floor, an open concept kitchen with a large island faces the dining area. 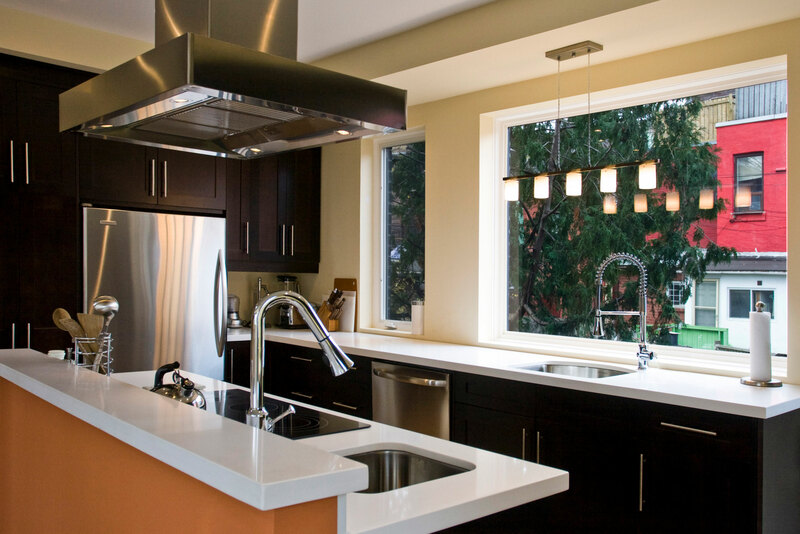 The kitchen’s stovetop and one of the two sinks are placed on the island, making cooking easy and sociable in the midst of company. 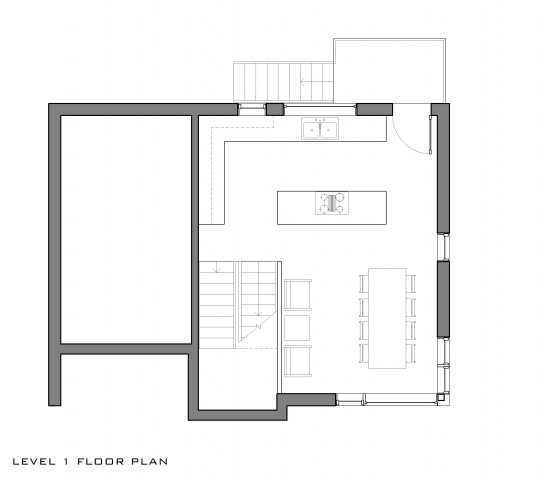 A living room on the main floor was decided against in order to allow for a larger kitchen and dining area. 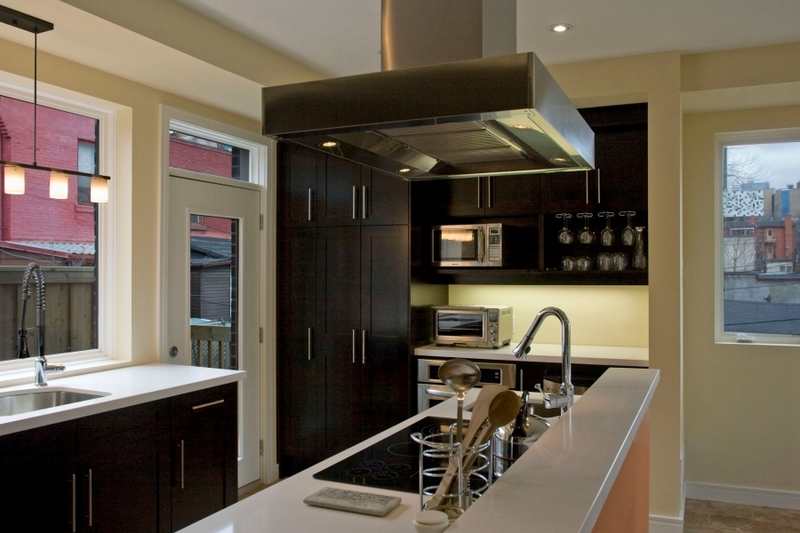 Here, guests are welcome to hang out in the kitchen. 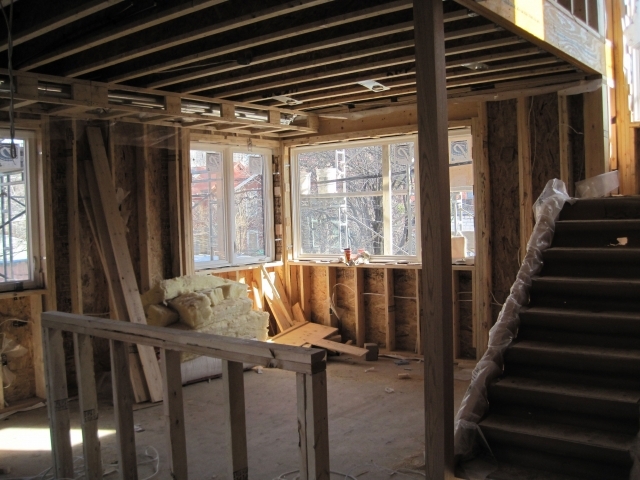 On the second floor, the stair opens to a hallway that connects the master bedroom to the study. 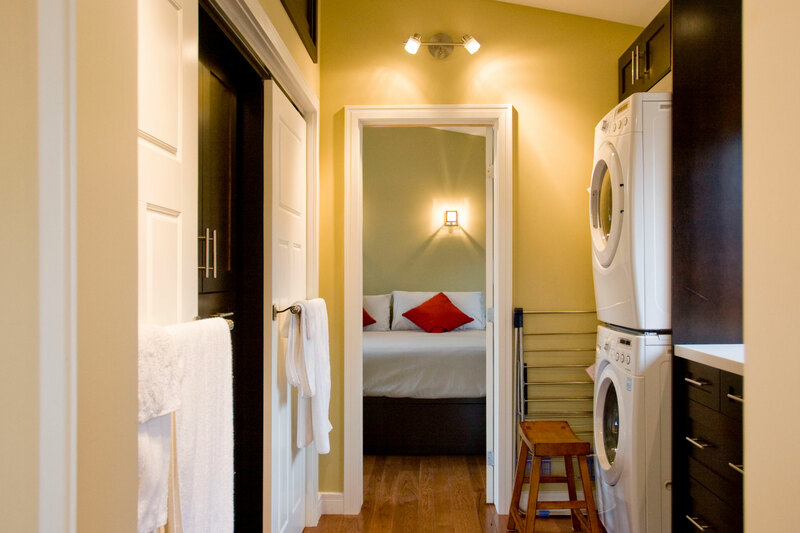 This hallway houses laundry facilities and a countertop with a small bar fridge for coffee and breakfast in the morning. 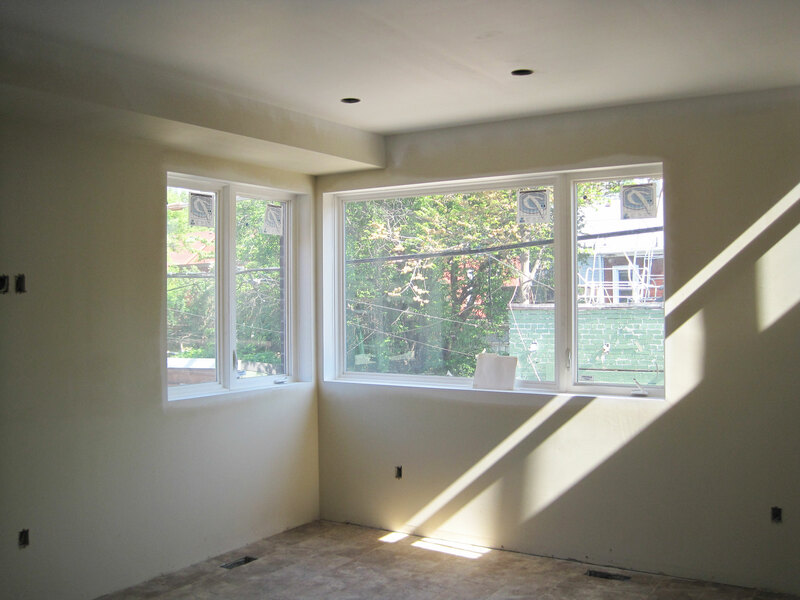 The study can be easily converted into a guest bedroom, a gym or a living area if needed, with windows along the south and east walls. The master bedroom connects to a patio on the home’s southwest corner, and a large walk-through closet gives way to an ensuite bathroom. 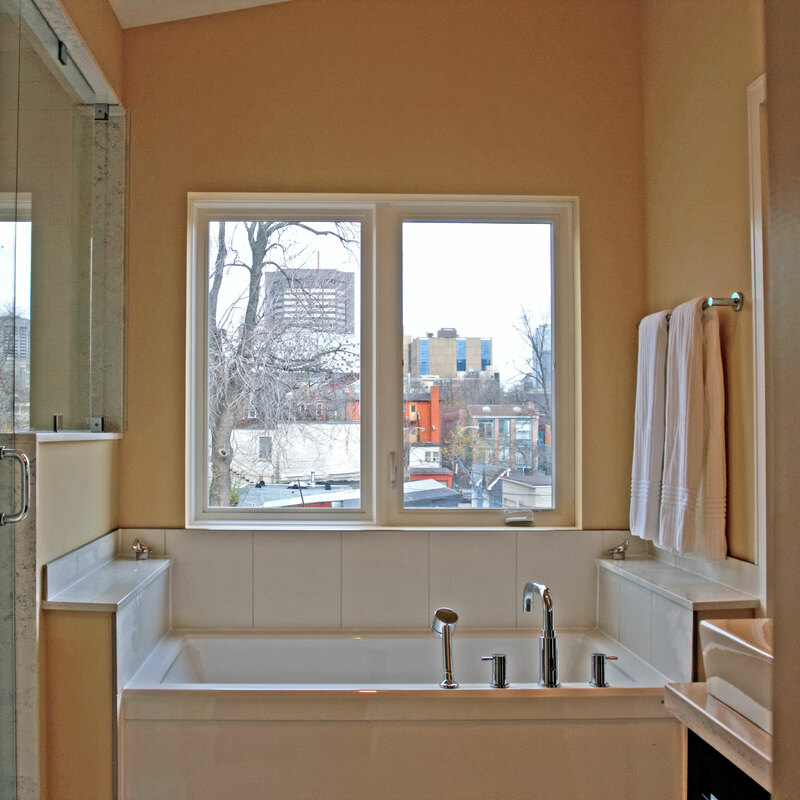 The basement can be used as a guest suite, with an extra bedroom, bathroom, and large living room. Adjacent to the basement suite is an attached garage, not because our client needed or wanted it, but because approval from the city was conditional; in order to build the project, certain aspects of the design from the original application had to remain, which included an attached garage. 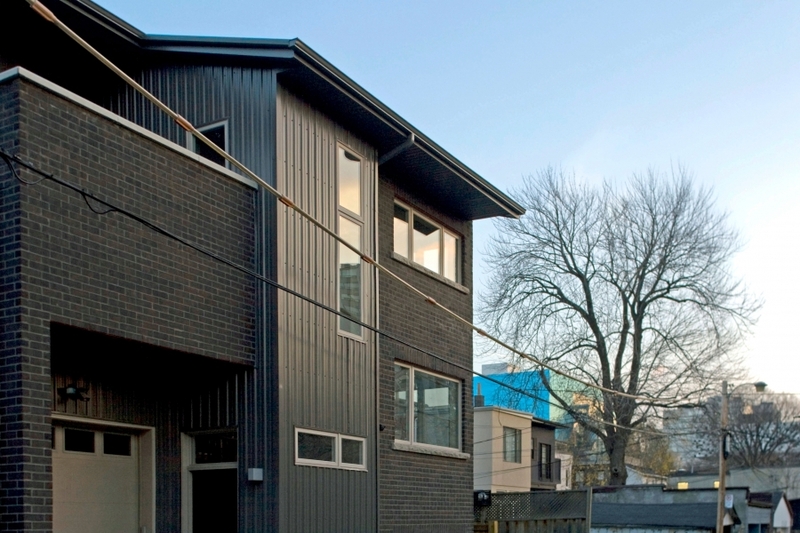 Aspects of this laneway house are typical for a Solares home — most notably its energy efficiency and its durability. 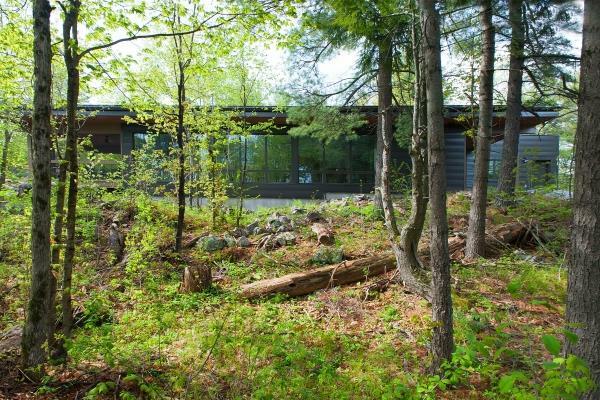 The structure is stick frame with an entirely new foundation and slab. 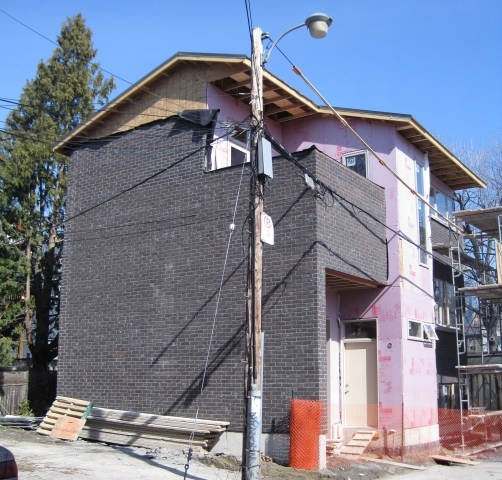 Before construction, the site was checked for structural integrity and stability, and it came up short. Fortunately, this was expected and therefore well anticipated, as many laneways and rear-ends of properties have had old, discarded building debris packed into the soil for many years. To ensure a stable foundation, micropiles – very strong, thin steel rods – were drilled deep into the foundation’s bedrock and surrounded by a cage of reinforcing steel bars (rebars). 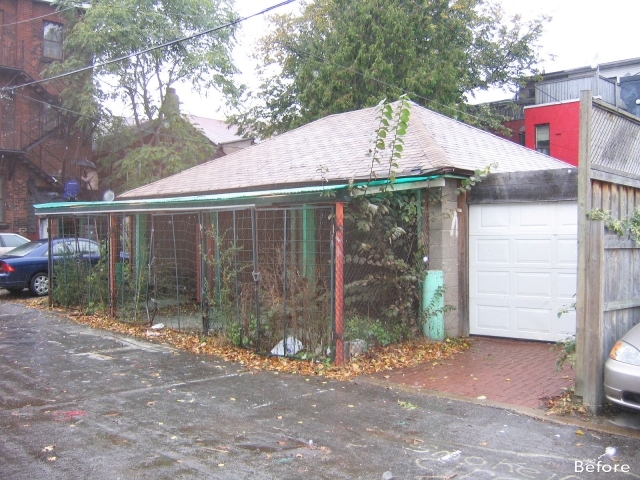 The rebar cage was then filled with concrete, effectively becoming the basement’s concrete slab. 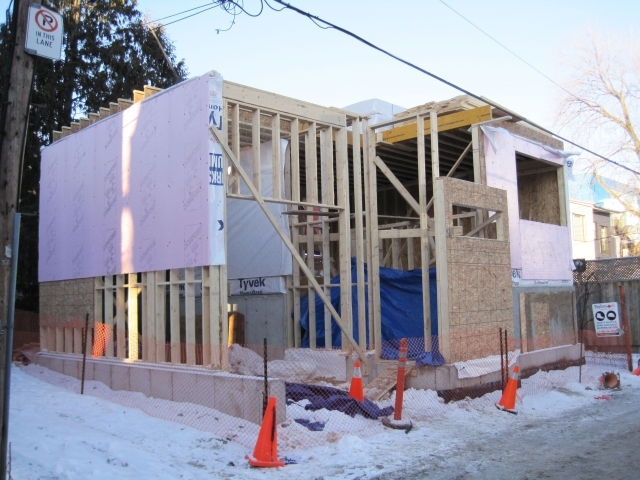 Under the slab was insulated to give the basement foundation an insulation value of R20. 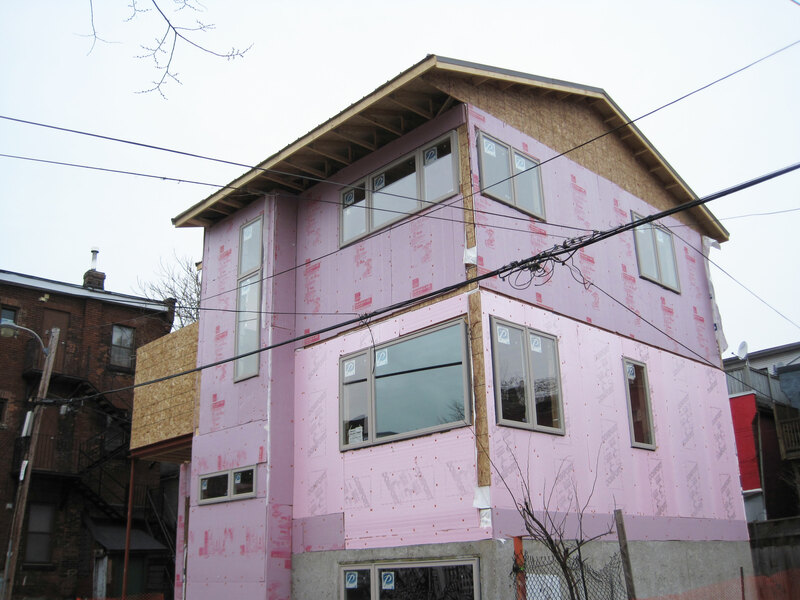 The walls and roof were both insulated to R50. 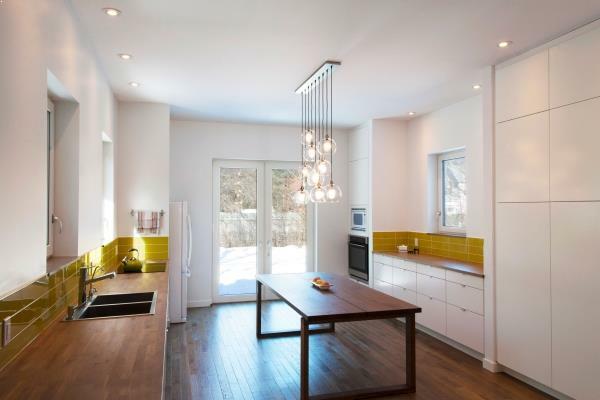 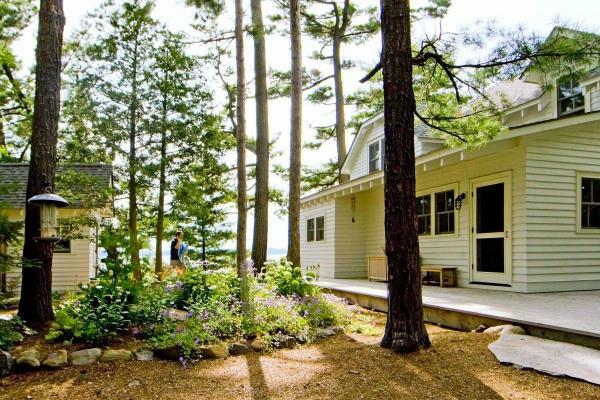 The house was designed to passive solar standards, which allows the home to be heated by heat from the sun without having to create any energy of its own. Thermal blinds were installed to shade the sun during the hottest months, keeping the house cool in the summer. 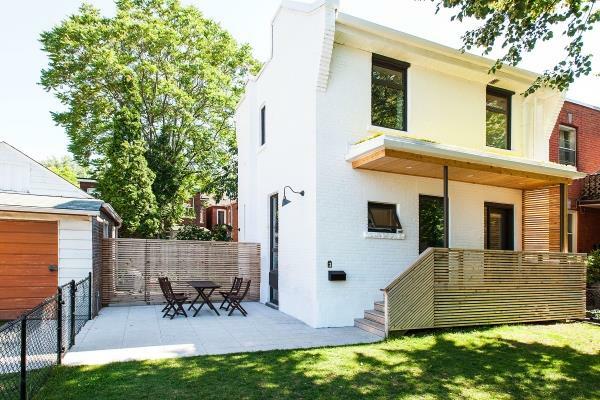 As well, the home’s design allows for plenty of cross-ventilation, and large windows let in plenty of light throughout the day. 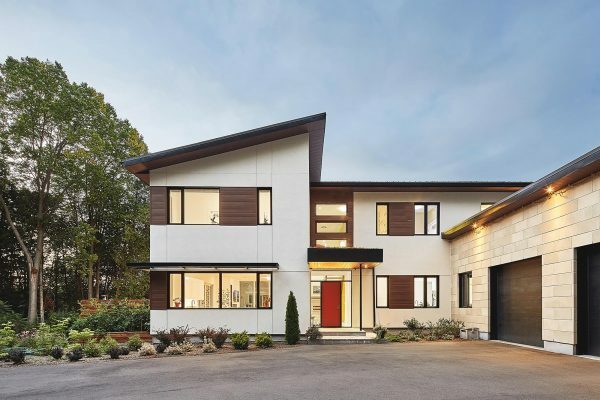 With its passive solar design, and a well-insulated, airtight envelope, little energy is needed to heat or cool this home. 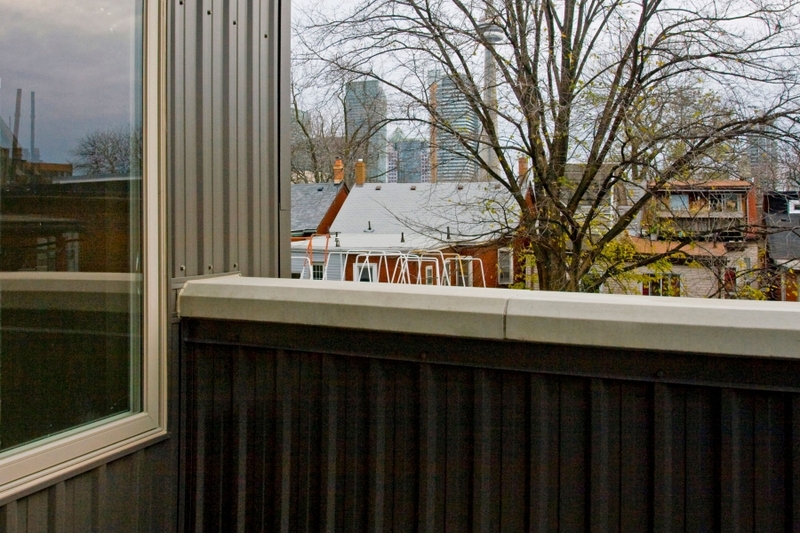 The small amount of energy that is required comes from a high-efficiency, air-to-air heat pump, for heating and cooling, and an HRV for fresh air and ventilation.